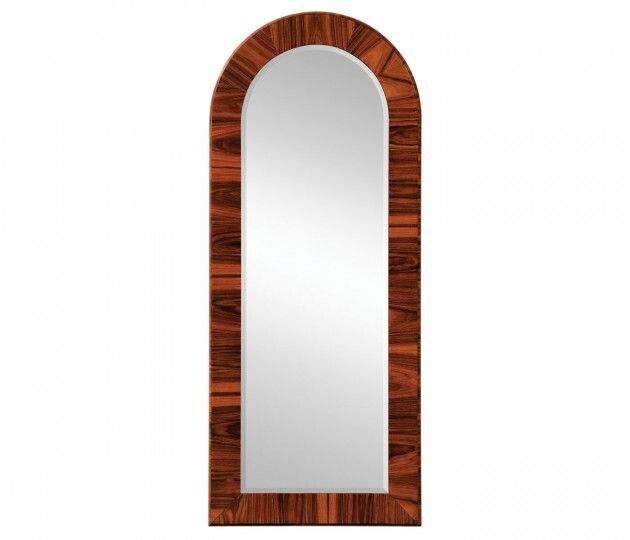 Art Deco inspired full length hanging or floor standing mirror, the top with a semi-circular profile, and with fine santos rosewood veneers to the front and sides. Beveled glass to the centre. Also available in satin finish 494153-SAS.